Why is it that we end up taking most for granted what’s in our own backyard? I remember friends in Boston who’d lived there for decades but had never been to the New England Aquarium. I know long-time residents of the South Bay who have never visited Napa. Me? I’m a San Francisco native who has never set foot inside Coit Tower. I think it’s the “cleaning out the garage” syndrome at work. We know it’s there. We know we have to get to it some day. But we figure we have all the time in the world to do it, so ironically, we never do. That’s what I thought about when I sheepishly stepped foot inside of lovely Marché restaurant in downtown Menlo Park last week. The restaurant is eight years old, but this was my first time there. 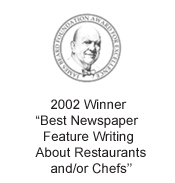 I’d always heard good things about this modern French restaurant. It was on my radar to try. Some day, I always thought. I’m glad some day finally came, when Executive Chef Guillaume Bienaimé invited me to dinner as his guest. Born in France and raised in part on the San Francisco Peninsula, Bienaimé is all of 27 years old. You’d never know it by what arrives on your plate, though. I don’t know what I was cooking when I was 27 years old, but it definitely didn’t have anywhere near the sophistication and elegance of what Bienaimé crafts. After studying math at Foothill College in Los Altos, he turned his attention to cooking instead, enrolling in Johnson & Wales University in Rhode Island. During that time, he apprenticed at Marché, the French Laundry in Yountville, and La Mediteraneé in Paris. After graduation, he returned to Marché as a banquet sous chef, before becoming sous chef in 2006 under then-Executive Chef Howard Bulka. In April, Bienaimé stepped into the head chef position. His love of great produce shows. Indeed, July 17-18, he will spotlight fresh corn with a $65 four-course dinner that features the likes of warm corn flan with lemon basil emulsion. He enjoys combing local farmers markets. Recently, he also helped students plant summer squash at a local Menlo Park elementary school, where his wife is a teacher. 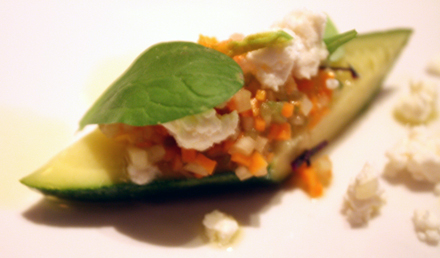 Bienaimé has a sure hand with produce, as evidenced by a first course of summer squash with French feta and red-stemmed peppermint, a wonderful way to open up the palate for what’s to come. When dining at Marché, diners can choose from entrees priced from $25 to $39, a three-course prix fixe (which runs about $39 to $49 per person), or a six-course chef’s tasting menu (from $85 to $95 per person), which I enjoyed the night I was there. 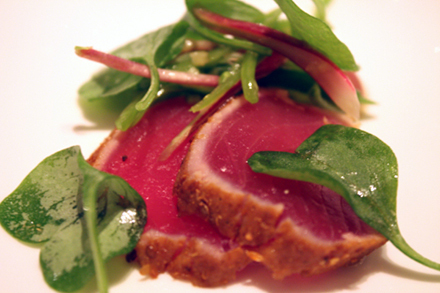 Slightly smoked rounds of tender bigeye tuna followed, crowned delicately with coriander, ginger, snap peas and baby radishes. Then, the showstopping Brentwood corn soup, with a foamed top that hid slivers of Dungeness crab. With its creamy, concentrated flavor of the freshest kernels, this is a soup that will make you appreciate soup again. Whatever you do, don’t miss Bienaimé’s version of Alaskan halibut if it’s on the menu in this preparation with sweet, spring onion marmalade, porcinis, foie essence, and a confetti of duck cracklings. It’s a seamless, creative dish. Bienaimé says he designed it to pair with red wine, and it does so magnificently. Finally, juicy lamb saddle gets crusted with dukka, an Egyptian/Moroccan/African blend of spices, nuts, and sesame seeds and served alongside a lovely pile of Bloomsdale spinach. Pastry Chef Adrienne Garcia, just 26 years old, shares Bienaimé’s love of fresh-grown ingredients. A former intern at Manresa in Los Gatos, she has a garden plot at the Stanford Community Farm, where she grows many herbs that find their way into her desserts such as sweet basil ice cream. 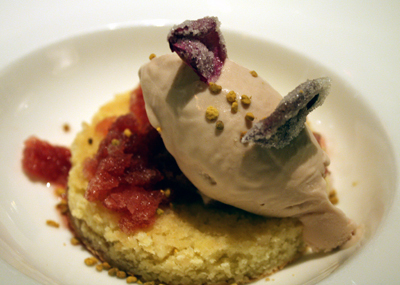 With a soft spot for anything almond, I went for the almond cake topped with tart cherry granité and rose petal ice cream. The subtle floral quality of the ice cream played beautifully with the vivid cherry notes. 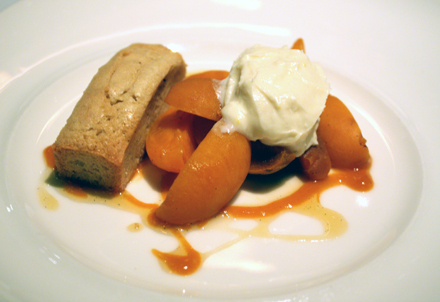 Garcia also sent out a lovely apricot financier — a tender, buttery cake with a mound of fresh, caramelized, sweet apricots. Lesson learned: Life’s too short to keep putting things off to another day. Get thee to Marché now. What a lovely invitation. I admit I’m a bit jealous of that pastry chef since we are the same age! It’s definitely all too easy to not take advantage of whatever’s in the backyard. I’ve been trying to do a better job of that lately. My husband is French, born and raised in Paris, and he has never been to the Eiffel Tower. Neither has his family! Couldn’t believe it. I have heard of Marché but have never been. I bet you were in heaven. Just love all your stunning photos. It is a joy to wake up to them every morning (in my Google reader LOL). What a spread of yummy food … actually I don’t know where to begin! 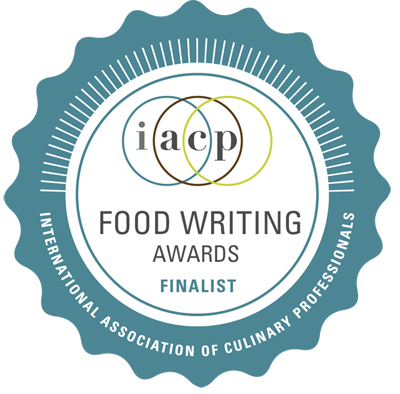 So lucky for you to be invited for a distinguished Chef . No doubt that the sweet part done by the Pastry Chef Garcia is positively for me! 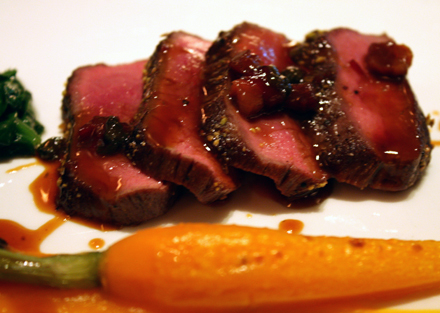 is the 408 + 650 the epicenter of Bay Area’s nouveau cuisine? Did I miss something on my July 4th trip to SF/OAK? so confused! Commis just opened up in OAK and the chef was trained at Manresa as well. The presentation of each dish is really great. This looks like an evening well spent. And fed. What elegant presentations, and thank you for the mouth-watering descriptions. 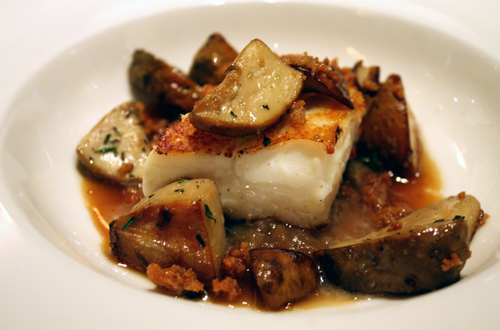 I’m especially pleased to see that Chef Bienaimé is using sustainable/not endangered fish! I’m using the monterey bay aquarium’s Seafood Watch guide to determine which fish I eat, and it looks like his restaurant is keeping an eye on good seafood choices too. 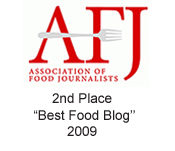 Thanks for the write-up; I’ll put this place on my list of restaurants to visit. I’ve been living in the Bay Area all my life and SF for the last 3 years and am ashamed to say that I haven’t been to Coit Tower either! In fact, I’ve never been to Angel Island OR Alcatraz! Every time I visit a different city, I always check out ALL the attractions but when it comes to SF, I guess I just figure I’ll eventually make it there. SO sad huh? You’re actually inspired me to go out and check out my own city this summer! Lisa: If your husband was born in Paris and never visited the Eiffel Tower, then I definitely don’t feel so bad now. Hah! Thanks for sharing that cute revelation. I have never been to the Isabella Stewart Gardner Museum here in Boston, and I am always a little embarassed telling out of towners! That’s ok. I know a friend who lived 7 years in Maine and never yet tried lobster or wild blueberries! but I’m glad you got your chance! How lucky you are to be invited…The sweet basil ice cream sounds really exotic and lovely! I can’t believe the pastry chef is only 26?!! SinoSoul: Oakland is indeed the happening place for new restaurants lately. And the Peninsula, particularly Redwood City and San Mateo, also has gotten its share of new restaurants making a name for themselves. San Francisco, with all its wonderful attributes, can be a tough place to open a restaurant now, what with all the high costs involved. But if you cross the bridge, or venture south, expenses such as rent and labor do go down. Thus, a new culinary renaissance is afoot in these neighboring cities. Uhhh what a nice colorful meal. The tuna looks soooo great. sounds like a good candidate for our last Bay Area blowout meal.